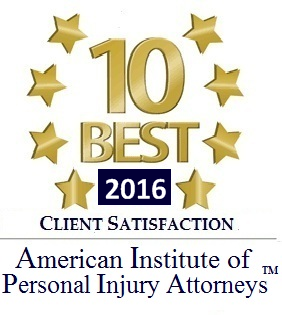 Rhode Island Personal Injury Lawyer, David Slepkow 401-437-1100 is an experienced RI lawyer helping clients with RI Personal Injury Law, Car Accidents, Slip and fall, Premises Liability, Truck Accidents, Motorcycle Accidents, and all RI Personal Injury matters. David Slepkow is a Partner at Slepkow Slepkow & Associates with 15 years of experience. SS&A was established in 1932. David is an aggressive and accomplished Lawyer who will do everything he can to get you the settlement you deserve. 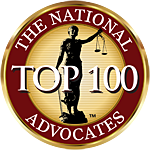 David is honored to have received a superb rating with Avvo, a leading legal information provider. David also was awarded a 4.9 out of 5 client review rating from Martindale Hubbard. David never charges a fee for a personal injury case unless successful. Home and hospital Visits are available. Evening and weekend appointments may be scheduled. David is a member of the Rhode Island Bar, Massachusetts Bar, United States District Court, District of Rhode Island and United States Supreme Court bar. 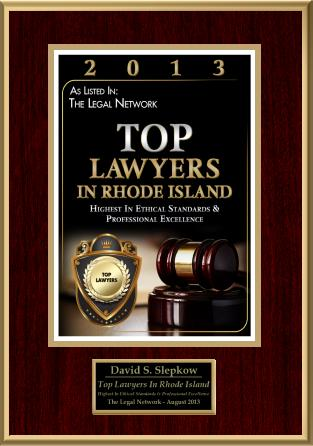 Please call Rhode Island Personal Injury Lawyer, David Slepkow at 401-437-1100.